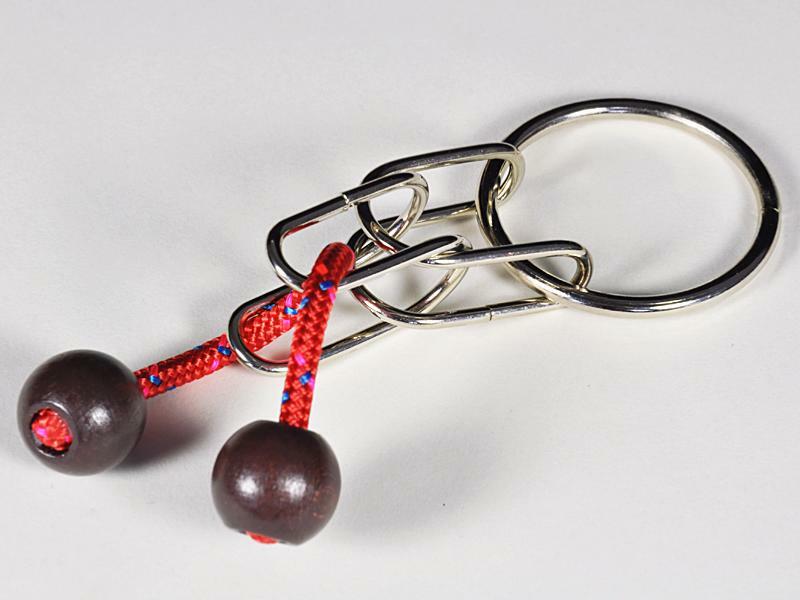 There are many disentanglement puzzles available, so we only pick out a few that we really like. The challenge is to separate the piece of cord with the two wooden balls from the metal rings; and then to put it all back together again. Quite tricky! Wow this is a challenging one! Still haven't solved it, my brother has hijacked it and has taken it on holiday to play with. Mind boggling! Love it. Feels very nice in the hand too.